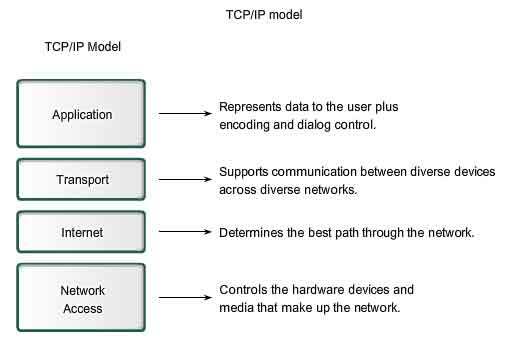 What is TCP/IP Reference Model ? What is its use ? What are the advantage and disadvantage of TCP/IP ? TCP/IP means transmission control protocol and internet protocol. Protocols are set of rules which govern every possible communication over the internet. These protocols describe the movement of data between the host computers or internet. These offer simple naming and addressing schemes. The lowest layer of them all. The protocol is used to connect the host so that the packets can be sent over it. Varies host to host and network to network. Selection of a packet switching network which is based on a connectionless internetwork layer is called an internet layer. It the layer which holds the whole architecture together. It allows the host to insert the packets. It decides if data transmission should be on a parallel path or single path. Functions such as multiplexing, segmenting or splitting into the data done by layer four that is transport layer. Functions of the transport layer are same as the OSI model. The transport layer also arranges the packets sent in sequence. Protocols used in this layer are high-level protocols such as TELNET, FTP (file transfer protocol etc. READ How to setup your Domain Email with Windows Mail services ? It has not clearly separated its services, interfaces, and protocols.